Arrival: we will pick you up from the airport and transfer you to your accommodation (riad or hotel). 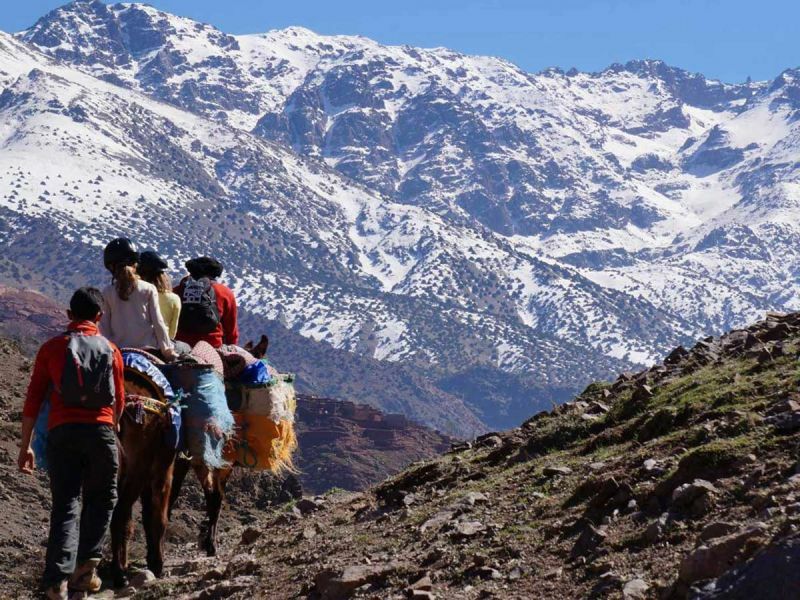 Having collected you from your accommodation, you will be transfered to the Tizi’n’Tichka’s highest point at nearly 2000 meters. 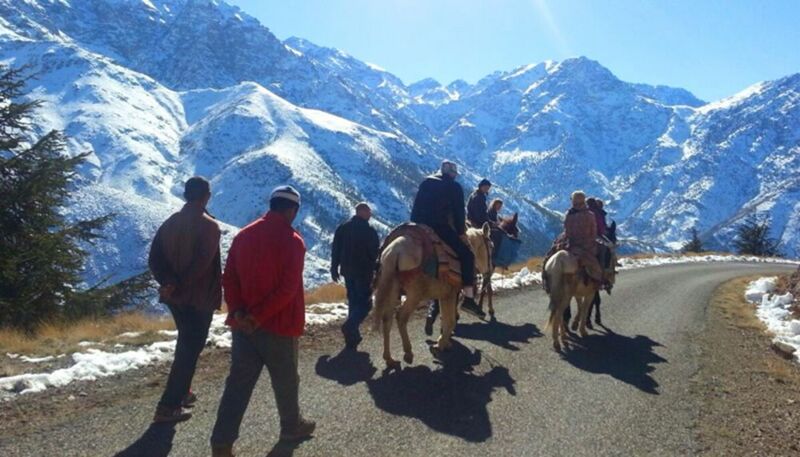 With our well trained mountain guide, we will ride mules for 2.5h until we reach Afra. In this village we will spend the night. 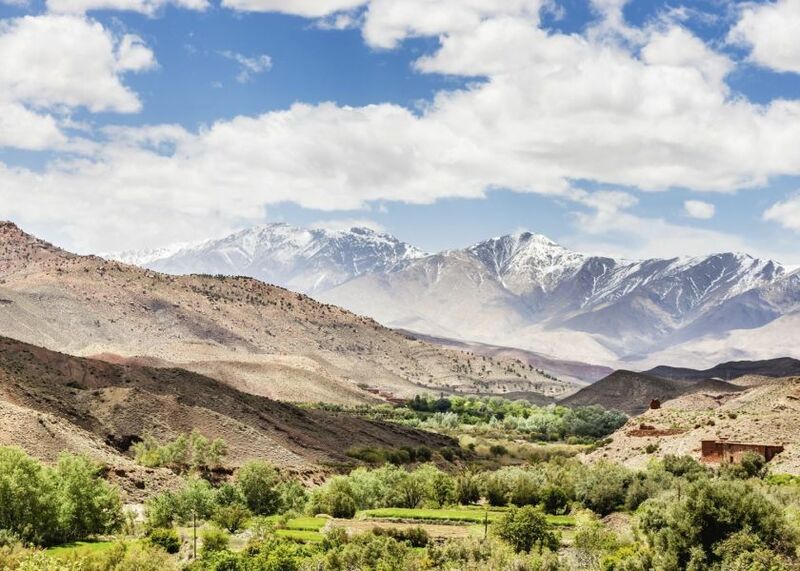 During this day we will be passing along many rural villages such as Tissi, Afais and Azger. It is 4.5h trip at an altitude of 1200 meters. 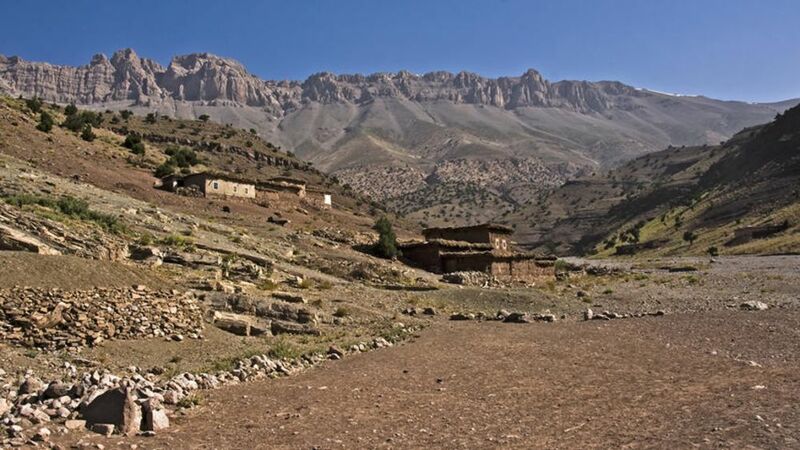 We continue the the trek crossing the lovely villages of Tizi-ni- kiss, Warzast and then we arrive at the Yagour plateau. 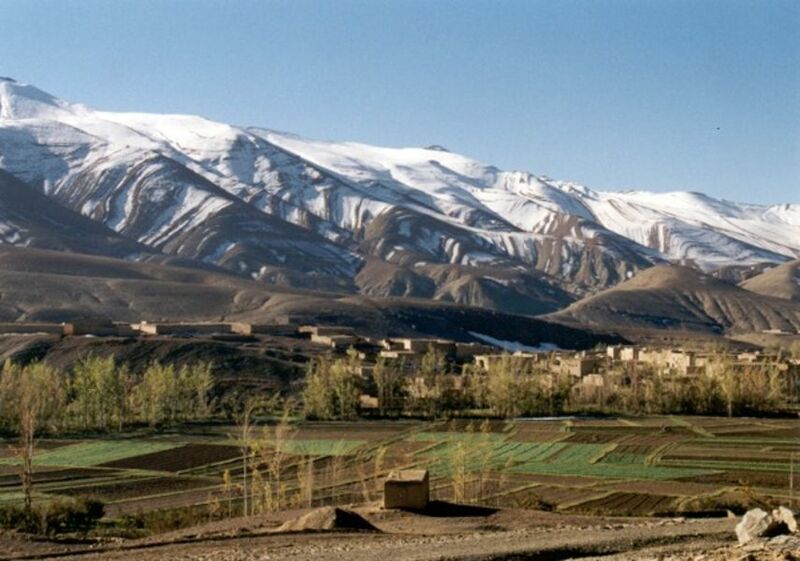 The plateau is located at 2,600 meters above sea level. and contains rock carvings of its ancient Amazigh/Berber heritage. This will take about 5.5 hours . We cross the the Yagour plateau by mule. This will take 4 hours from the beginning to the end of the mountain. We move on to Wigran, then to Stti-fatma, located at 1500 meters altitude. We will visit the seven waterfalls of Setti-Fatma, enjoying a beautiful view over the village of Setti Fatma. we will sleep at Agadir-n- ait-Boulman. This will take 5 hours in total. We then travel straight forward to Timishi and Iaabbasen (6 hours). 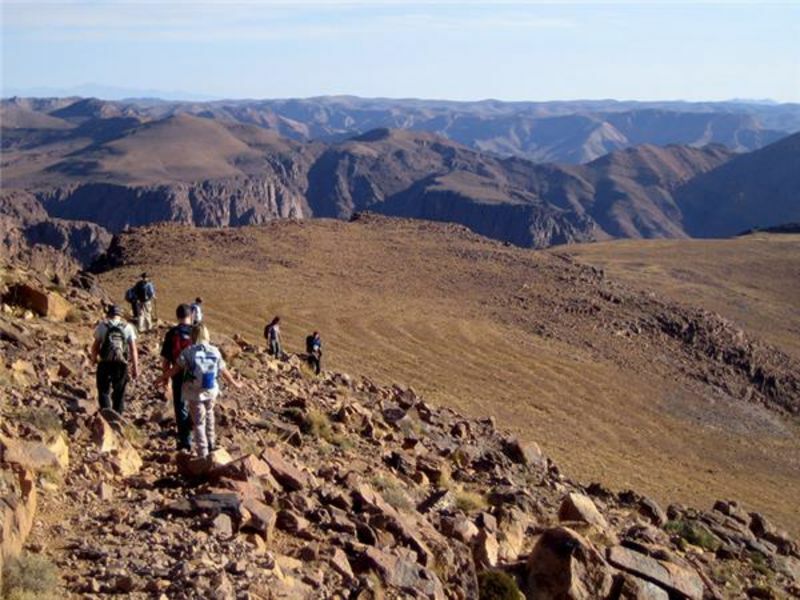 We head from Iaabbasen to Tizi-n-Tshddirt, reaching an altitude of 3000 meters. We then ascent back down until about 2400m. 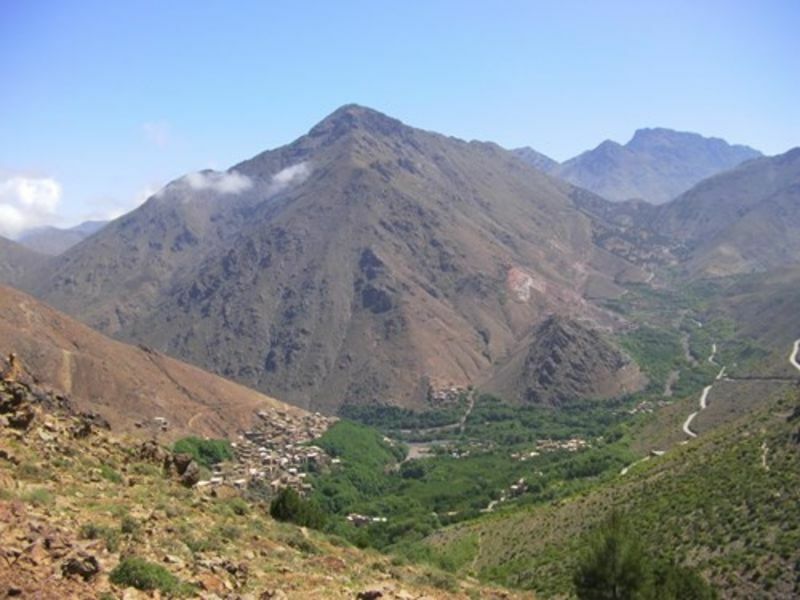 Tizi means mountain pass in Berber. travel time: 7 hours. you will be transfered by car from Tashddirt to Armd. From here you will stretch out your feat till Rufeg, located at 3200 meters of altitude ( 5.5 hour walk). 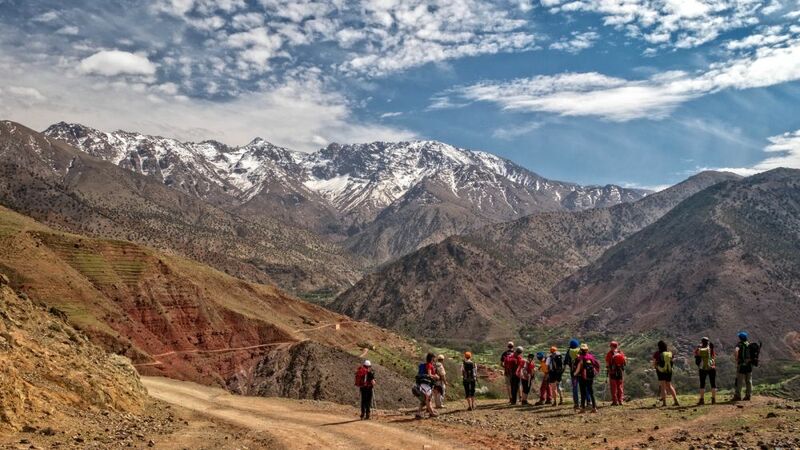 We clim the Toubkal peak (4165m height) which is the highest mountain peak not only in Morocco but in North Africa. We descend back on the same day to Rufeg in 5 hours. 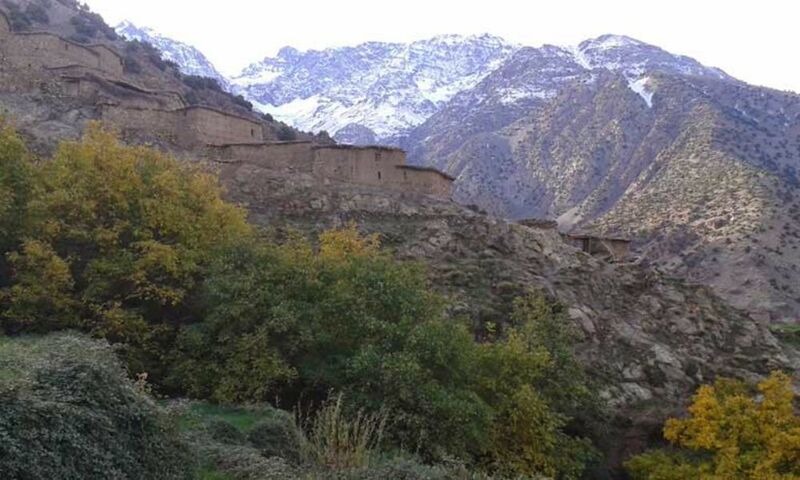 We return from Rufeg to Imlil and then you will be transported back to Marrakech. 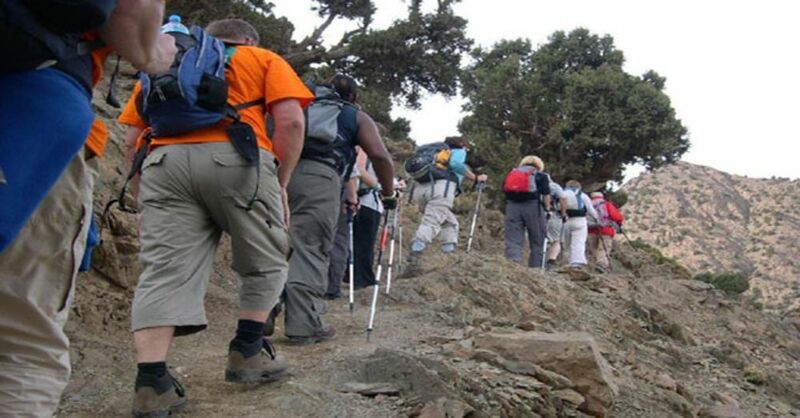 This 11 days trekking tour is bidirectional (from day 11 untill day 1), and can be divided to 3 days or 5 days according to your time and possibilities.